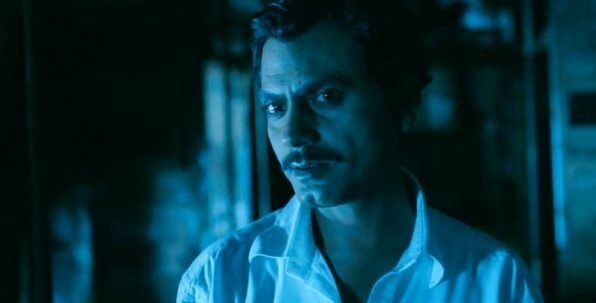 Nawazuddin Siddiqui is a versatile actor and there’s no doubt about it. Give him any kind of role and the actor makes it his own. He leaves such an impact on the audiences with his characters that it is impossible to shake his particular image out of the mind. 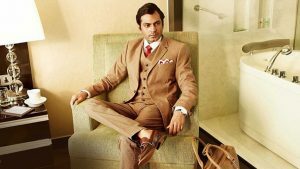 Nawazuddin Siddiqui started off with blink-and-you-miss roles and rose to such phenomenal stardom, climbing the success ladder steadily that the actor now enjoys the liberty to pick and choose roles as he pleases. Some characters are written exclusively for him and here’s presenting a list of upcoming films that will see the actor not playing second fiddle to anybody. At this point, the question that might be circling your mind is what is the next Nawazuddin Siddiqui movie? Well, you are at the right place. Here’s the list of upcoming Nawazuddin Siddiqui films scheduled to release in 2018 and 2019. 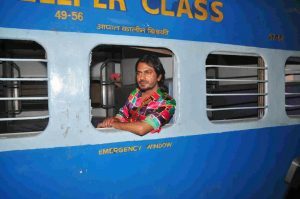 We can only hope that the new Nawazuddin Siddiqui movie could be as good as some of his latest ones. An out-and-out comedy film, ‘Ghoomketu’ will see Nawazuddin playing an aspiring writer from UP, who in search of people that can recognize his talent, moves to the Maximum City, where he will get caught in hilarious situations every time he makes an attempt to redeem his lost confidence and reputation. The film is being produced by Phantom Films and is being helmed by newbie Pushpendra Mishra. While not much is known about the story yet, all we know is that Richa Chadda and small screen actress Ragini Khanna have pivotal roles to play in the film, with cameos by Amitabh Bachchan, Sonakshi Sinha and Ranveer Singh. Director Anurag Kashyap will be playing a Mumbai cop, who is all set to tickle our funny bones too. Let’s just hope Kashyap finds distributors soon! After having played grey shades that were as intimidating as they could be in films like ‘Kick’, ‘Raman Raghav 2.0’ and ‘Badlapur’, Nawazuddin Siddiqui joins hands with ‘Gadar: Ek Prem Katha’ maker Anil Sharma, who is launching his son Utkarsh with the film ‘Genius’. Starring Mithun Chakraborty, Ayesha Jhulka and introducing both Utkarsh and Ishita Chauhan to the world, Anil Sharma has roped in Nawazuddin Siddiqui to play a mean business baron, for whom, money speaks more than anything else. As of now there is no news about the premise, but we are sure if Nawazuddin has put his heart into it, ‘Genius’ will be worth the watch! Who doesn’t know or hasn’t heard of Bal Thackeray, the founder of Shiv Sena? 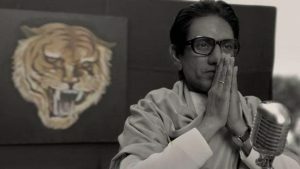 Known as the Tiger, who ruled Mumbai with an iron fist, Bal Thackeray’s glorious life and his political career is now being brought to the 70mm screens by Sanjay Raut and ironically Nawazuddin Siddiqui has been signed on to play the man himself in the biopic. 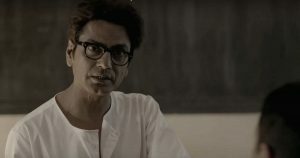 Only a teaser trailer of the film has been released for now but going by the looks of it, all we can say is that Nawazuddin Siddiqui (who hails from Uttar Pradesh) has not only gotten the mannerisms of the Thackeray patriarch spot-on, but he has also made sure he mouths proper Marathi dialogues and replicates the life and times of the late right-wing leader to a T.
The film is a horror story of TV reporter Devika and Cameraman Saurabh who nn the trail of Maya Chudail (witch) are locked up in a desolate mental hospital on an island in North East India, and are caught up in the deadly web of Black Magic, Occult. The film is being directed by Nikhil Allug who has made a name for himself in the short film world. It will be interesting to see if his Short Film success tranlastes to the longer medium. Saadat Hasan Manto was a very popular writer back in the 30s in India and post-Independence, he became a national icon of Pakistan. His story is being brought to life on the big screen by brilliant actress Nandita Das, who is going through every minute detail that made Manto the enigma he was during his lifetime. 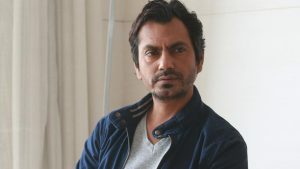 Known for pouring his mind on paper on topics that no one dared to talk about, Nawazuddin Siddiqui will be seen playing the writer, who without fearing the repercussions of his works, continues to write his mind as he wills. In the news since the time the film was announced, it is yet to be seen how and what the gifted actor does with his talent when he turns into Manto when the cameras starts rolling! News is rife that Rupesh Paul, who brought Sherlyn Chopra’s Kamasutra to the world in a 3D format, is busy writing a story inspired by the events of MH370 – the missing Malaysian aircraft – that continues to baffle everyone across the globe four years after it went missing from the radar. We wonder what story the director is set to come up with, with a mystery that the world hasn’t been able to solve yet; but with actors like Nawazuddin Siddiqui, Akshaye Khanna and Yami Gautam rumoured to be in the cast, we hope there is something good that might come out of the entire effort Paul is putting in! Ritesh Batra had the entire world swooning over his ‘The Lunchbox’, which was a delectable tale of love and loss and now the director has begun shooting for his upcoming venture called ‘Photographer’, for which he has signed his favourite actor Nawazuddin Siddiqui again. Although the shooting is in full swing now, the maker is keeping his story a closely guarded secret. 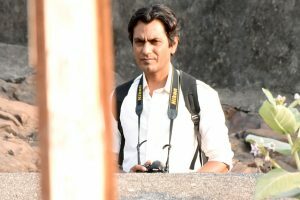 Nothing much has been revealed yet but looking at the production pictures, we are guessing that Nawazuddin will be playing a street shutterbug. Sanya Malhotra, who has been riding high on the success of ‘Dangal’, is also a part of the film. As long as there’s no news about the film, we can only say that the fresh pairing might give us something new to look forward to. 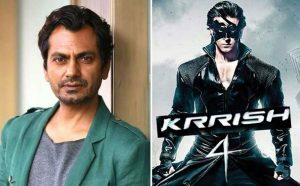 As of now there is only a confirmation that Nawazuddin Siddiqui will be playing the main antagonist in the third installment of the desi superhero movie, but we are not very sure what kind of character he is signed on for. Updates keep coming in almost every day but as of now, his role is wrapped in mystery and we are sure that Nawazuddin will slay in the role he will be assigned. Hope it is bigger, better and meaner than Vivek Oberoi’s Kaal in the previous edition. All we want to see is whether Nawazuddin overshadows the hazel-eyed Hrithik Roshan or will it be the other way round!